Islamist militias in Libyan capital Tripoli staged protests at the center of the capital on Friday. The protests followed successes scored by the Libyan National Army as part of its ongoing campaign on the Libyan capital. The Islamist militias hope to stop the advance of the army into Tripoli. The protests are yet one bid by them to win public sympathy. Battles gained momentum in Tripoli on April 11, leaving 65 people dead. 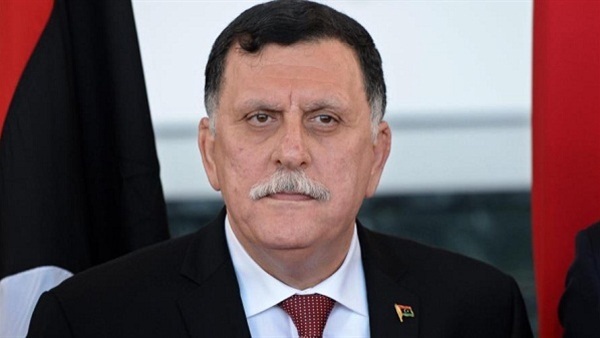 The Libyan military prosecutor ordered, meanwhile, the arrest of the head of the Libyan National Accord Government, Fayez al-Sarraj, along with the members of his government. The prosecutor accused them all of committing war crimes against the Libyan state. The prosecutor issued a list of wanted persons. The list included the former head of Libya’s Supreme Council Abdel Rahman al-Swihili, the former head of the National Salvation Government Khalifa al-Ghweil and the former mufti al-Sadek al-Gheriani. He accused all these people and others included in the list of forming unlawful militias, staging terrorist attacks and financing terrorist organizations. He said all these crimes were committed under the full consent of the National Accord Government. The prosecutor added that the government even offered all types of support to these people. United Nations Secretary-General Antonio Guterres said on April 11 that there was still a chance for bringing the violence in Libya to an end. He added that the Libyans could avoid the worse that could come next. Guterres told journalists that the ongoing conflict in Libya could not be solved via military means. Political solutions, he said, would bring this conflict to an end. He expressed hopes that the United Nations would be given the chance to find a political solution to the crisis in the country. Libyan affairs specialist Abdel Sattar Heteita said, meanwhile, that the protests of the Islamist militias were a reflection of the enormity of fear among these militias from the advance of the Libyan National Army. He said this made it necessary for the members of this government to be brought to court.